Abstract: The current paper examines the educational experience of introducing experimental blended learning model in Bulgarian secondary school within the classes studying English as a foreign language intensively. The students who took participation in this project are 8th grade, majoring Information and Computer Technology with English as a first foreign language. The educational tool used is a “flipped classroom”, one of the recognized blended learning methods, in which the instruction is conducted both physically in class and via a freely available online-based virtual classroom. The concrete technology used is an application, called Edmodo, a virtual classroom that enables educators to enhance the processes of learning, communication and critical thinking of their students. Edmodo is also the biggest network of educators that collaborate, share resources and learn from each other. It allows teachers to engage students in new interactive ways by posting class materials, videos, presentations, discussion topics, conduct quizzes and tests, award badges, etc. In the focus of the analysis are the reflections and engagement of the students in using the virtual classroom in their class participation and performance. Students get access to an appealing social media like platform that allows them to interact with each other and their instructor, express themselves in ways that they would not in the physical classroom, which all makes the learning process a social experience of a new kind. 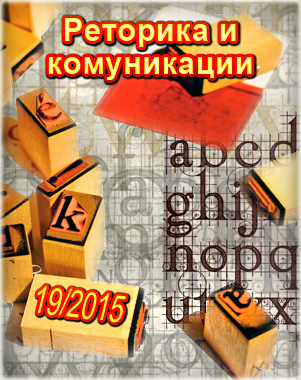 In contemporary Bulgaria there are many signs that the educational system is lagging behind. 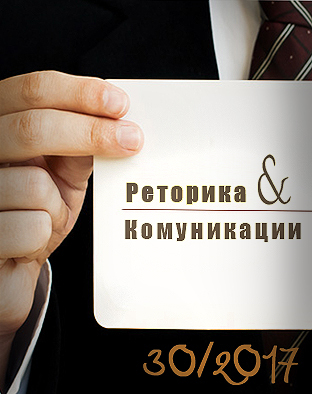 Educators, educational institutions and most of all students are looking with hopes to the new proposal for legislation on pre-school and school education, which was submitted on 21.11.2014 for discussions in the Bulgarian Parliament. The long-awaited reforms in school education anticipate solutions in dealing with issues such as prevention of exclusion from school, wide-spread illiteracy, lack of interest in the educational content, etc. The author explores the educational possibilities vested in a specific type of educational model called blended learning that might help in dealing with some of the issues at stake and collect information that could serve as a case for developing further policies on how to prepare schools and educators for providing the service of distant learning that is to be introduced by the new legislation as a mean of battling issues like expulsion from school, lack of interest in the content and general illiteracy. Blended learning appears to have been in use since the popular advent of the Internet and the World Wide Web in the late 1990s. However, like many other Internet buzzwords around this time, e.g. new economy, e-learning; its precise connotations have changed, subsequently converged and stabilized. Since 2006 blended learning has been understood as a combination of face-to-face and technology-mediated instructional forms and practices . 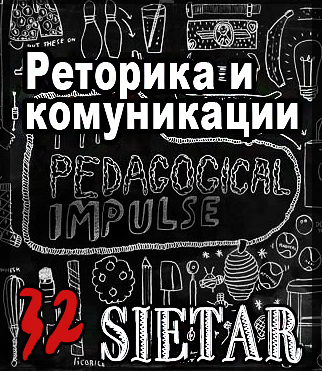 However, the scope of the current paper focuses on the experimental intervention within the classes studying English as a foreign language at the secondary school ‘Sava Savov’ in the town of Pirdop, Bulgaria. The hypothesis of the paper is that through the use of blended learning at schools, educators are able to enhance the interest in the educational content, as to create a positive learning environment and social learning of a new type – based on information and computer technologies. This educational model is a prerequisite for developing policies to introduce distant learning, as to maintain retention of students threatened by expulsion, thus boosting literacy. Speaking about education communication in a contemporary manner, we should firstly and most importantly search for its definition. The research in the area defining the term is considerable and often used as a synonym of pedagogical communication. For the goals of the current paper we will use the two terms as inter-changeable. One popular approach to define the educational communication dating resources back to Antiquity (and even beyond) is the perception of educational communication as part of rhetoric. 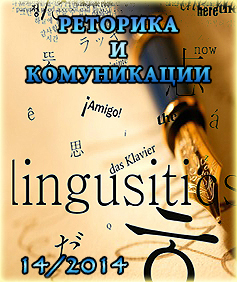 Pedagogical communication is conducted in the trail of the established oratorical performances of the teacher, which are directly related with the educational process and the unadjusted oratorical expressions of the teacher in collegial (pedagogical) environment, parent meetings and in front of the community (own translation) . Yet, there is another approach with a socio-psychological nature where educational communication is perceived more as an interaction creating certain responses between the participants in the educational communication process. Educational communication can be defined as a transactional process in which educators and students create a joint communication climate which changes from moment to moment as the conversation unfolds and the thoughts, attitudes and behaviours of both parties influence each other in some way . 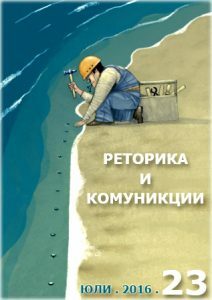 But as today we speak about advancement of information and computer technologies, the discussion about educational communication has shifted into the online environment. 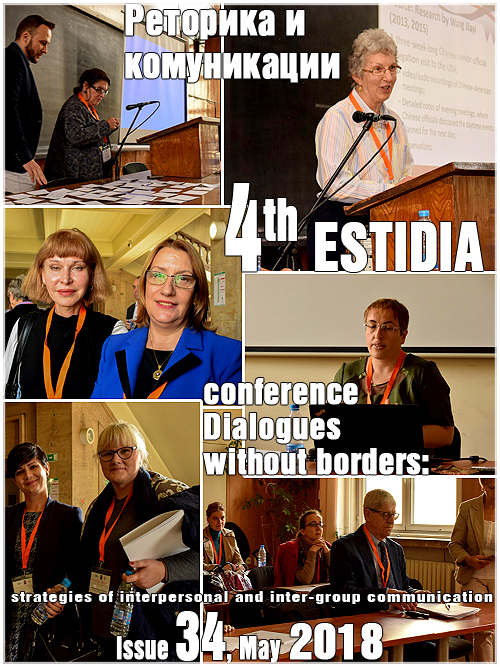 Introducing distant education in Bulgarian schools can be considered as a bold move by the institutions, since the educators and school administration do not have the needed capacity to provide this service as of 2014. A positive aspect in that current situation is that in the last ten years universities in Bulgaria have slowly developed and established online educational programs, provided through internal web-site integrated Moodles or other programs, ad can serve as an example for the schools. Ivanka Mavrodieva is studying the development of the distant learning programs and services in Bulgaria and defines the term as virtual academic communication. The communication in the virtual environment has practical manifestations and the term ‘virtual academic communication’ gradually has been approbated and approved, although some activities are not nominated thereby. The virtual academic communication includes well-known and widely used approaches to communicate, for example e-mails, electronic platforms as well as academic blogs, video typed lectures, educational multimedia presentations and movies, too . 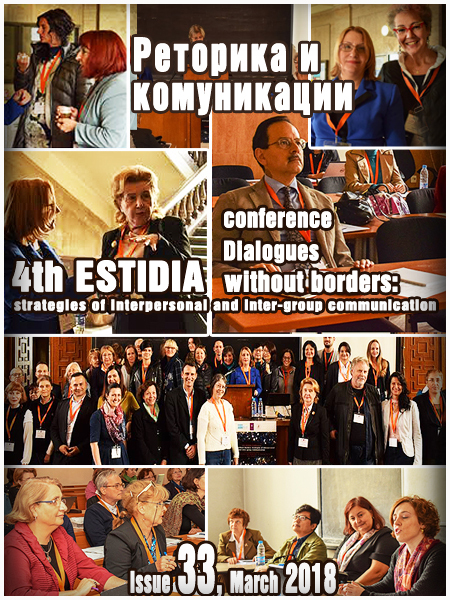 In searching for a definition for the term virtual school communication, based on the same principles of the virtual academic communication, based on Mavrodieva’s approach , we may suggest that it is a form of educational communication that is conducted in a virtual environment. (3) and the modalities along each student’s learning path within a course or subject are connected to provide an integrated learning experience . The first pillar clearly suggests that blended learning is a type of online learning, where students, to some extent, can choose the time, place, path and the speed at which they participate in the online learning. Yet, this pillar of definition suggests another important aspect of the online learning, in this case blended learning, that the educational communication is wielded both synchronously and asynchronously. The synchronous educational communication is permeating mainly via the means of shout box, chat windows, instant messages, video conversations, calls, etc. The asynchronous educational communication is introduced mainly via the help of standard e-mail, messages, blog posts, social media posts and messages, and specially designed virtual classrooms, but again not limited to this list, since the boom of creation of application providing educational and communication services is ever growing. The second pillar suggests that the online conducted education is only partial and in other words the virtual setting is supplementary to the class-based educational setting and needs a physical environment provided by an educational institution. In this case, the physical environment is provided by a secondary school in Pirdop. The third pillar emphasises the importance of modelling the educational curriculum school subjects in a way that meets the learning needs of each student. The integrated approach is an individual approach to teaching and learning that corresponds to the individual characteristics of each member in the class. The concrete type of blended learning used during the intervention is called flipped classroom. The flipped classroom shifts part of the subject material that should be taught during the classes in the group learning space (the class in the physical classroom) into the individual learning space (created in the virtual classroom). In that way the teacher has more time for the development of essential skills, critical thinking, personalised and project-based learning, while in class with the students. Flipped learning is a pedagogical approach in which a direct instruction moves from the group learning space to the individual learning space, and the resulting group space is transformed into a dynamic, interactive learning environment where the educator guides students as they apply concepts and engage creatively in the subject matter . To make the transition smoother and expand on the specific virtual classroom Edmodo, used during the intervention in the school in Pirdop, we need to clarify the definition of virtual classrooms. Advances in technology have been used to propagate distance education as a system of choice, especially for adult learners. Virtual classrooms provide one example. A virtual classroom is an online learning environment that contains all course materials . Though we agree with this last definition, we recognise that the virtual classroom does not only serve as a store-space for course materials, but it is a web-based, or software-based, environment that provides synchronous and asynchronous teaching and learning. The secondary municipal school ‘Sava Savov’ in Pirdop educates around 500 students, profiling in ICT and English language. The experimental project started in February 2014 in the English language classes. The track was conducted for the period between February till June, and included students from 8th to 12th grade, who took part in a blended instructional setting, combining the standard classroom educational model supplemented by the introduction of virtual classroom platform called Edmodo. This year track focuses specifically on a class of 25, 8th grade students and their interaction and reflection on the use of blended learning from the start of the school year to the end of the first term, using Edmodo as a base virtual platform. Edmodo is the largest K-12 network, that empowers teachers to build relationships with their students in environment they know and love, collaborate with other teachers to improve learning outcomes, and discover new resources that unlock the full potential of their classroom and own professional development. Edmodo is free for teachers and students. It is available online and also for Android, iOS, and Windows . The educational model that was used was blended – flipped classroom. The educational virtual classroom Edmodo was used as a main tool of conduct of the online education. The flipped classroom allows transferring part of the content in the virtual setting, thus freeing more time in the physical classroom for discussions, practice, exercises, projects, etc. The physical classroom is in the school during the school lessons. The virtual classroom is accessed from home computers, the school lab, or individual mobile devices (smart phones, tablets, etc.). The online interactions in the virtual classroom included receiving and submitting homework assignments, essays, video clips, working mutually on homework projects, completing small online tests. 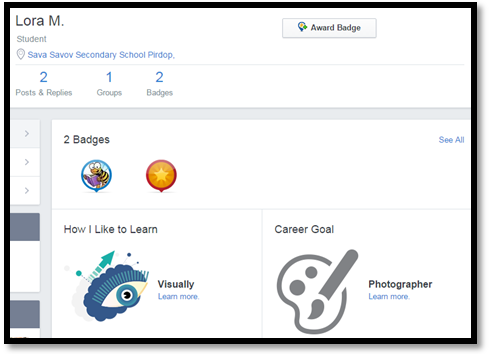 During the whole period of education the badging system of Edmodo was used to stimulate the students. Badges are visual symbols /pictures or flash motion/ used to award certain positive behaviour like early or submitted on time assignments, active participation in class, online community contributor, etc. See an example of badging from the intervened class at Figure 1. Edmodo allows other features that enhance the educators in assessing the individual needs of each student, as to design more easily an integrated approach. 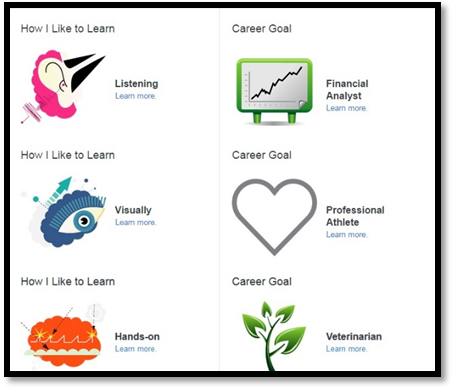 Such features are the possibilities for students to define their preferences in learning, or their current career goal. See . There are three main types of learning styles: auditory, visual, and kinaesthetic. Every student uses a combination of three learning styles, but they ordinarily have an exact preference for one. Knowing and understanding the types of learning styles of students is very important, so that homework and learning may become easier and less stressful in the future. Auditory learners (listening) prefer to listen to the instructor, video, audio and pod-cast and learn better in that particular way, rather than reading books, articles, excerpts, hand-outs, blogposts, etc. Visual learners prefer to receive the information through the means of pictures, photographs, video, posters, etc. They comprehend better when they read, look at printed materials, graphs and figures. They also prefer to express themselves that way, creating visual projects, presentations, posters, videos, paintings to supplement the assignments and generally all forms of visual expressions. Kinaesthetic learners (hands-on) prefer to make a practical example of everything they learn. Doing activities is the best way for them to learn. They have issues to concentrate on listening to a lecture, video, or audio activities. They prefer action assignments like creating models projects, running dictations, painting and building structures, etc. The other feature that makes it easier for educators to design a better integrated individual approach towards each student is the Career Goal option each student can select. Building on that information the teacher can better understand the interests, values and hobbies of each student and use it in designing the online and offline lesson interactions, assignments and projects. All these functionalities, vested in the educational platform Edmodo, address in a holistic manner the concerns of thousands of schools around the world about the cost and availability of introducing distant, fully online or blended learning, because Edmodo is free of charge. The aim of the current paper, however, is not to propagate that exact platform, but rather to illuminate on the matter that there are possible, free-of-charge, options for public schools. 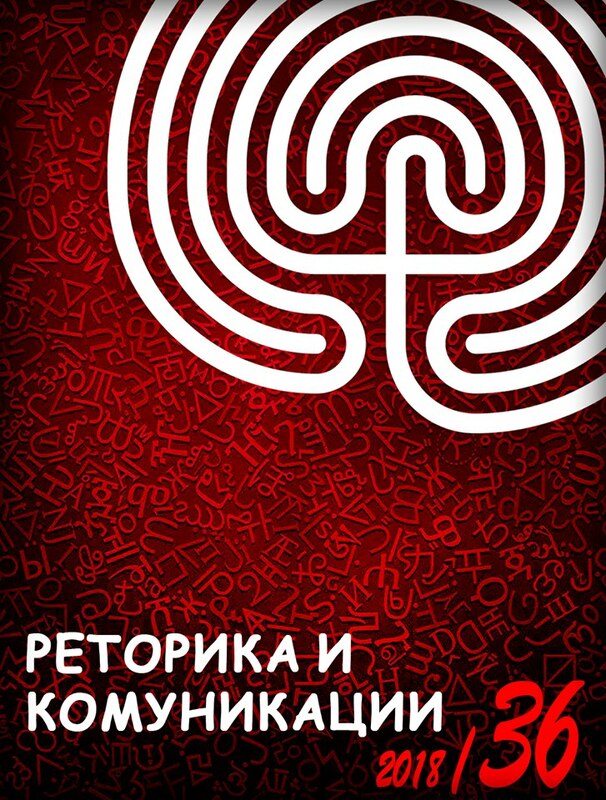 One of the limitations with these platforms is that they are mainly in English, creating a language barrier for educators that are not natives or have no English language skills, as it is the case in Bulgaria. The methodology used for the purpose of this research is intervention. Based on the hypothesis that through the use of blended learning at school, educators can enhance the interest in the educational content, as to create a positive learning environment and a social learning of a new type, this method was chosen. The purpose is to acquire knowledge that is practical and instrumental, and studies the problem of intervention. 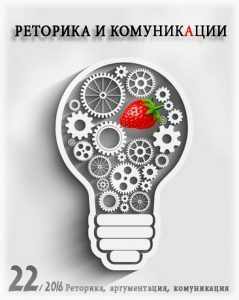 Gathering such information can be highly useful later, when the policies in the area of education are developed in Bulgaria. The intervention was supplemented by included observation – teaching English Language in a physical classroom two days a week (a total of 10 school hours, each of 45 minutes, per week) and maintaining instruction through the virtual classroom created on the web-site Edmodo (approximately 5 additional hours a week) including designing and maintaining the web-page, creating and posting homework assignments and projects, designing presentations and uploading them for usage by the students, grading assignments and awarding badges, giving additional personal instructions via posts. 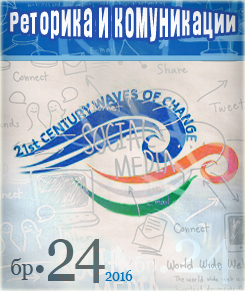 A general deduction from the collected information is that the students, feeling proficient with applications, social media and technologies, respond positively to the content introduced via the virtual classroom and eagerly create their own content, within the context of the studied topic. Only 2 of 25 students have difficulties with creating the profile or following the instructions. As a result a positive increase of interest in the educational content could be monitored. The systemized information form the intervention shows that the blended learning creates social interactions of a new type or social learning of a new type, where the educational communication flow in the online setting includes: student(s) – teacher(s) interactions; student(s) – student(s) interactions; and possibly teacher(s) – parent(s) interactions. Students feel freer to share with their teacher, post individual questions and asking for additional instructions, without the fear of being mocked by the rest of the class, or certain class members which creates a safe setting for communication. The friendly, specially designed for students interface makes the interactions entertaining and students are willing to respond with ease and joy to assignments, striving to receive a badge or a high grade. As a result of the interactions in the virtual classroom the educator and students have more time for utilization during the classes in the physical classroom, where they can work on group projects, game-based learning and interactions, host live discussions, etc. Building upon the current findings, based on the knowledge gathered in the intervention, the author’s hypothesis that through the use of blended learning at schools educators can enhance the interest in the educational content, as to create a positive learning environment and a social learning of a new type – based on information and computer technologies; that educational model is a prerequisite for developing policies to introduce distant learning, as to maintain retention of students threatened by expulsion and thus, boosting literacy, seems to be confirmed. The analysis, rendering an account of the fact that the research is performed in the context of English language classes in one school, raises a concern whether educators without sufficient or any knowledge of English can utilise Edmodo or other similar online platforms, hosting virtual classrooms. 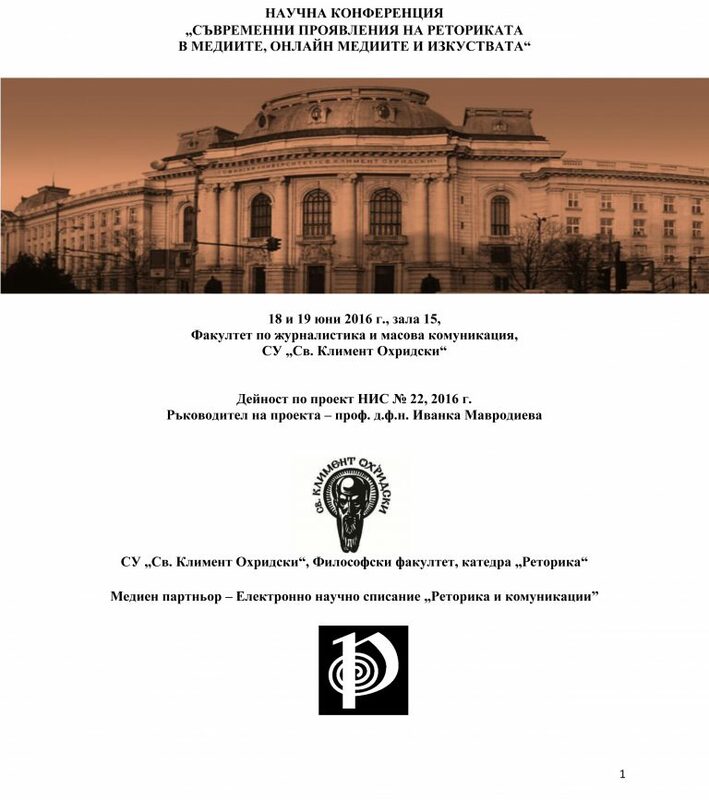 Future researches can build upon these findings to extrapolate the possibilities of conducting blended education communication in platforms in Bulgarian (so far the author has not registered the existence of such websites or software) that are free of charge. The blended educational communication is not a panacea for ‘curing’ the fallacies of the current educational system. However, the current analysis provides a surge of information and can serve as a case study upon which further researches on distant learning and virtual educational communication may be conducted. Blended learning is an approach that has proven to have positive outcomes in addressing concerns related to costs, online safety, uninteresting presenting of the educational content. Building upon the ICT, the blended communication conducted virtually, either synchronously or asynchronously, or both, can improve the educational communication and enhance the potential of the students, creating better future perspectives for them. Friesen, N. (August 2012). Report: Defining Blended Learning. 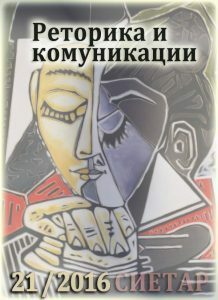 Totseva, Y. (2011). Pedagogical Rhetoric and Pedagogical Communication. 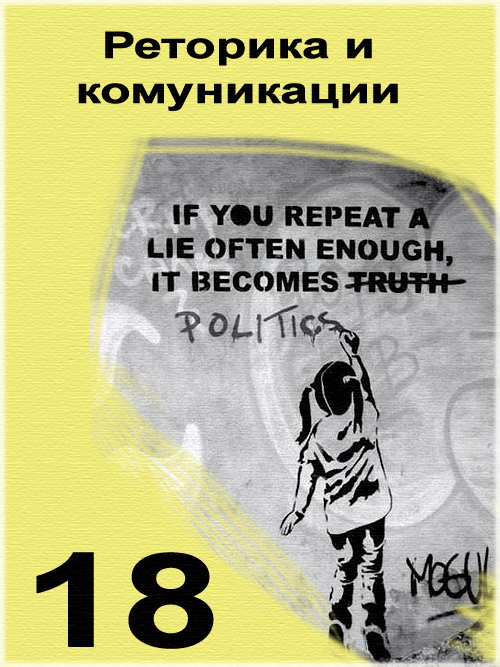 Rhetoric and Communication, rhetoric.bg, issue 1, 2011, Retrieved on 12.03.2015. Yurdakul, N., Ker-Dincer, M., & Vural, Z. A. (2008). Searching for Excellence in Educational Communication: The Role of IQ, EQ and SQ. Bilig, 147–164. 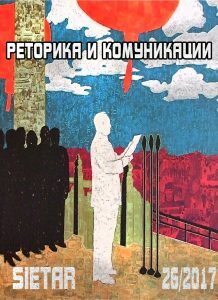 Mavrodieva, I. (2011). 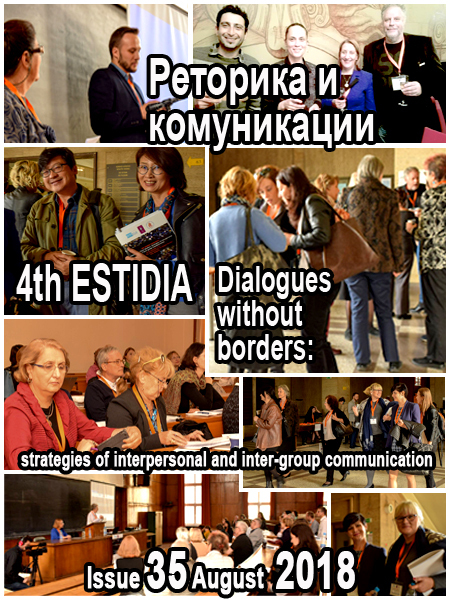 Virtual communication: Theoritical and practical manifestations in the e-learning and distance education. Sofia University. 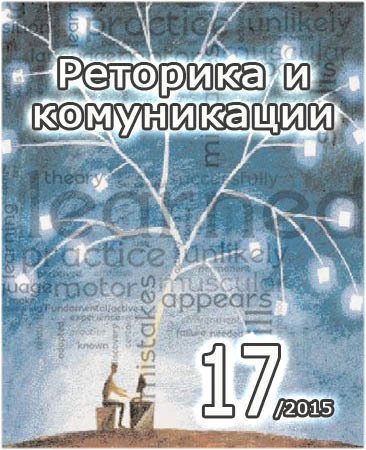 Sofia: Sofia University Journal on electronic education. 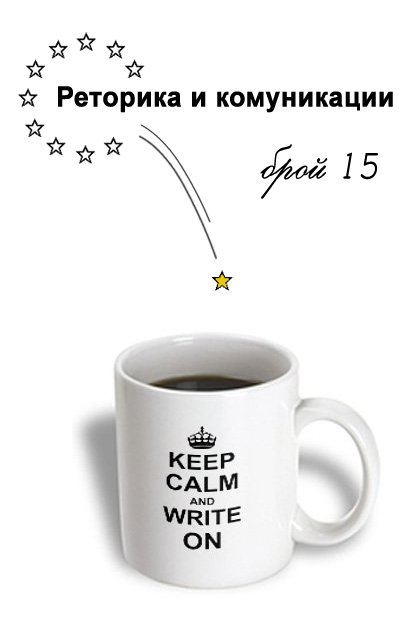 Retrieved January 26, 2015, from <http://journal.e-center.uni-sofia.bg/f/downloads/2011/Broi%202/I.Mavrodieva.pdf>, Retierved on 12.03.2015. Singh, H. (2003, November – December). Building Effective Blended Learning Programs. Educational Technology, 43(6), 51–54. Flipped Learning Network. (2014). The Four Pillars of F-L-I-P. Retrieved from Flipped Learning Network: http://flippedlearning.org/cms/lib07/VA01923112/Centricity/Domain/46/FLIP_handout_FNL_Web.pdf. Subramaniam, N. K., & Kandasamy, M. (2011, 27(Special issue, 8)). The virtual classroom: A catalyst for institutional. Australasian Journal of Educational Technology, 1388–1412. Edmodo ©2014 . 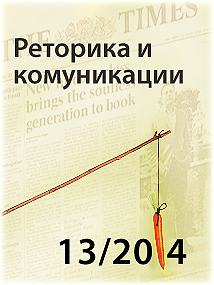 (2015, January 26). https://www.edmodo.com/classrooms. Retrieved from https://www.edmodo.com/: https://www.edmodo.com/classrooms. Clayton Christensen Institute for Disruptive Innovations . (2012). Clayton Christensen Institute for Disruptive Innovations . Retrieved from Blended Learning Model Definitions: http://www.christenseninstitute.org/blended-learning-definitions-and-models/. Mavrodieva, I. (2011). 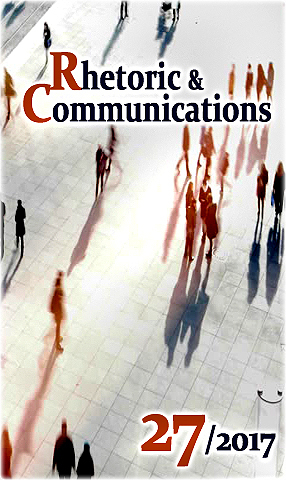 Virtual communication: Theoritical and practical manifestations in the e-learning and distance education. Sofia University. 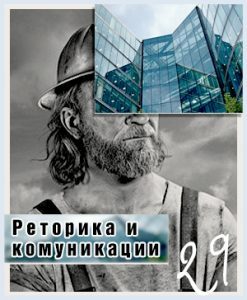 Sofia: Sofia University magazine on electronic education. 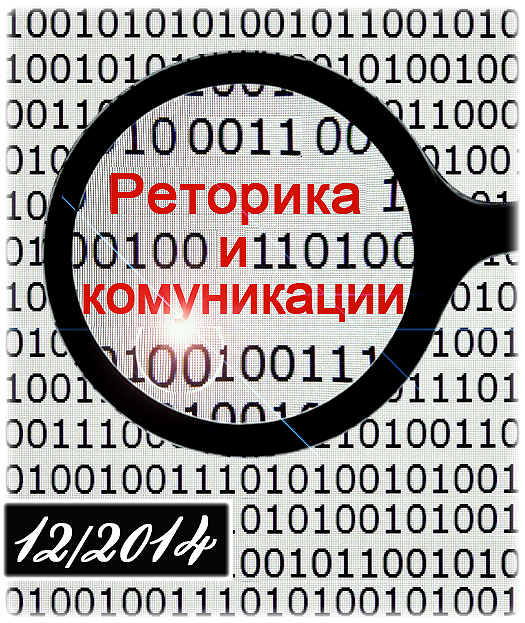 Retrieved January 26, 2015, from http://journal.e-center.uni-sofia.bg/f/downloads/2011/Broi%202/I.Mavrodieva.pdf. Totseva, Y. (2011). Pedagogical Rhetoric and Pedagogical Communication. 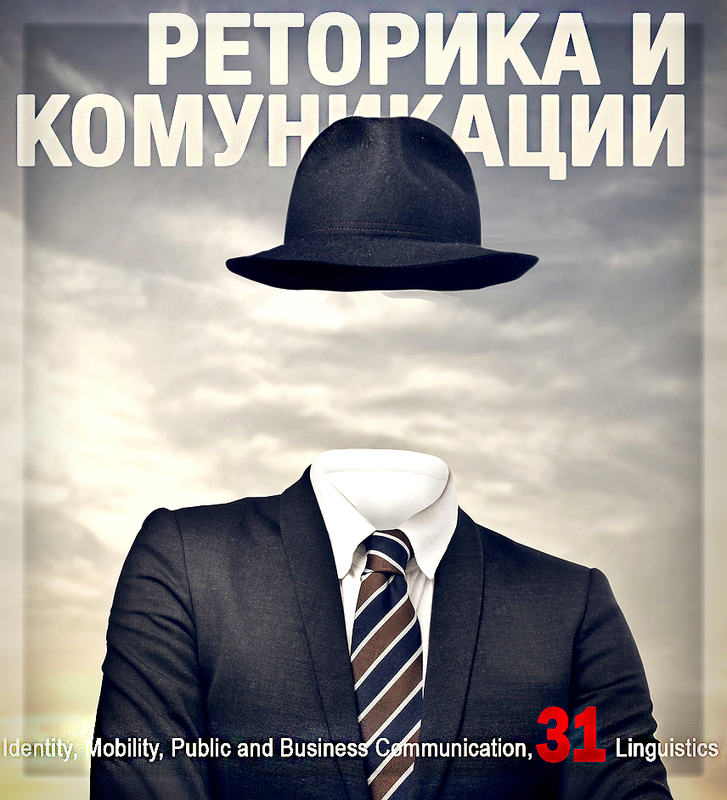 Rhetoric and Communication, issue 1, September 2011, <rhetoric.bg>, Retrieved on 10.04.2015.